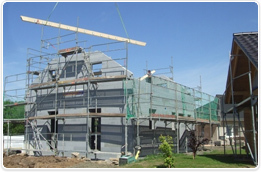 They can be used to make knee or gable walls. 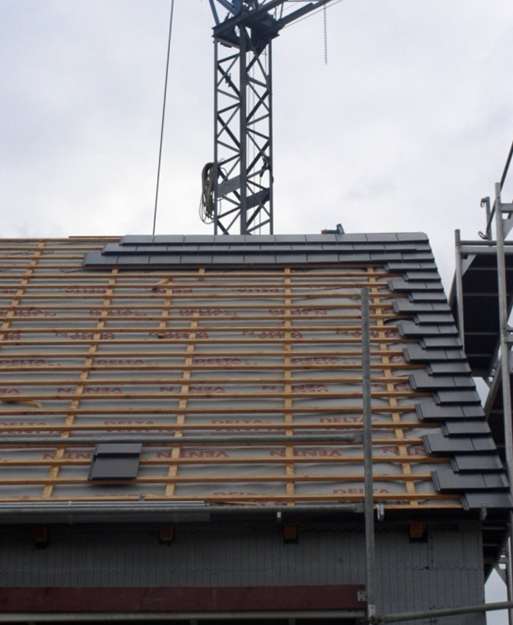 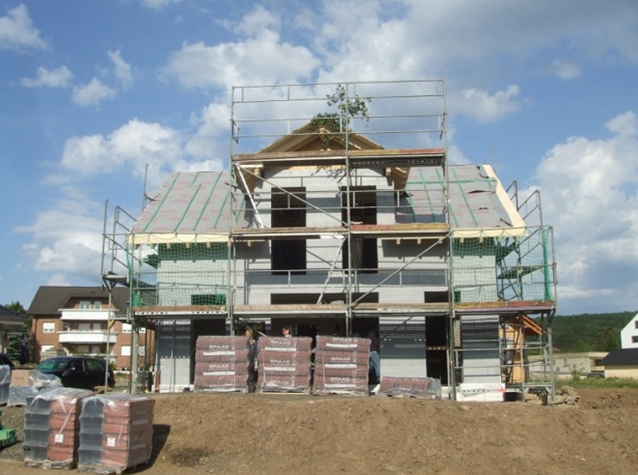 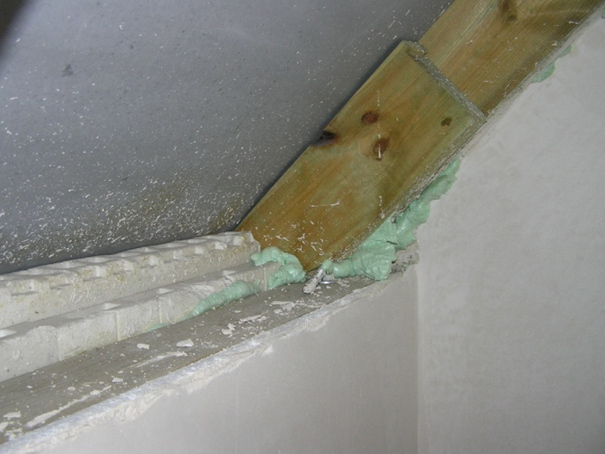 The roof plate installation is easy and thermal bridges are not formed in the area where the walls and roof insulation meets because the external insulation of the MP element is joined directly with the insulation between the rafters (see picture below). 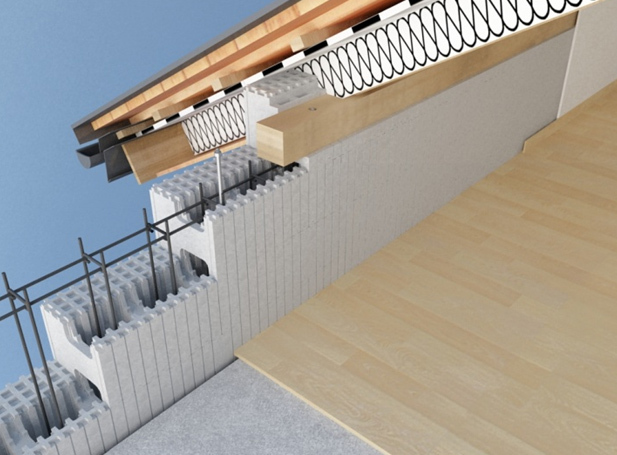 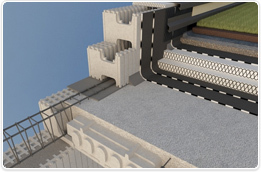 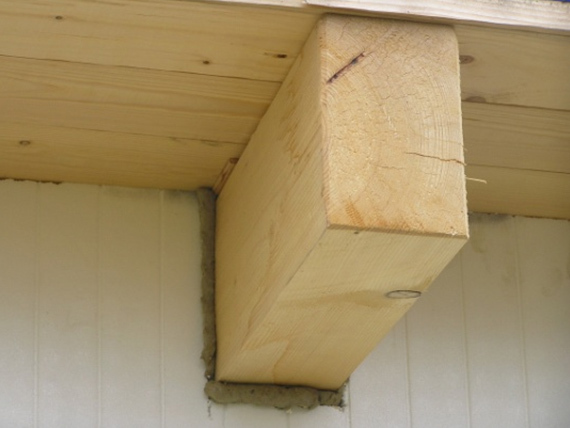 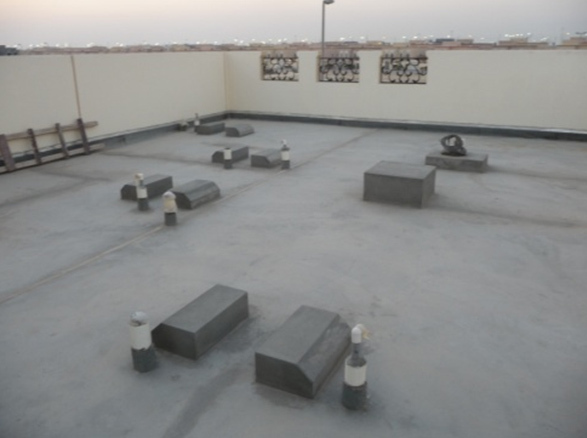 With direct access to the concrete core, it is easy to bolt the roof plate to the knee wall. 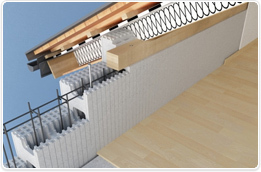 Please remember to place the damp proofing membrane earlier. 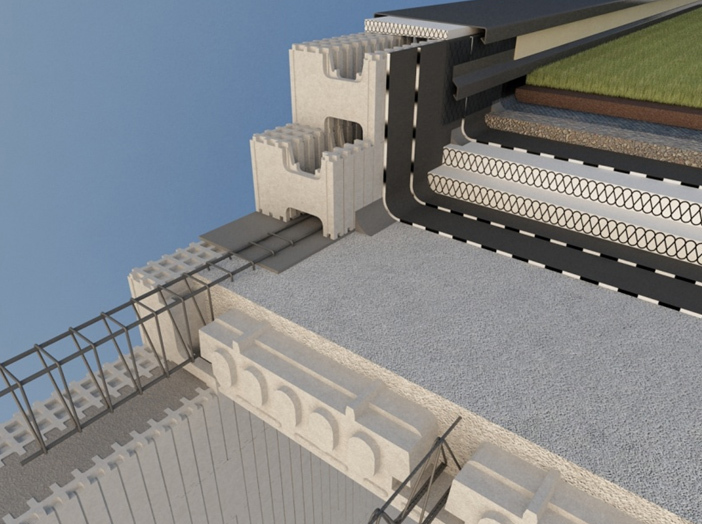 Installation of the roof structural parts in the Izodom walls is very easy - as it is presented in the photographs. 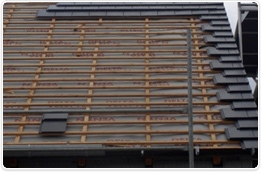 The Izodom technology does not impose any restrictions in terms of the roof type (flat, pitched, inverted, pyramidal). 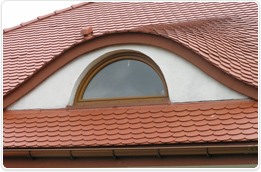 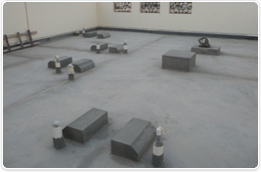 Any type of roofing can be used: ceramic tile, sheet, roofing felt). 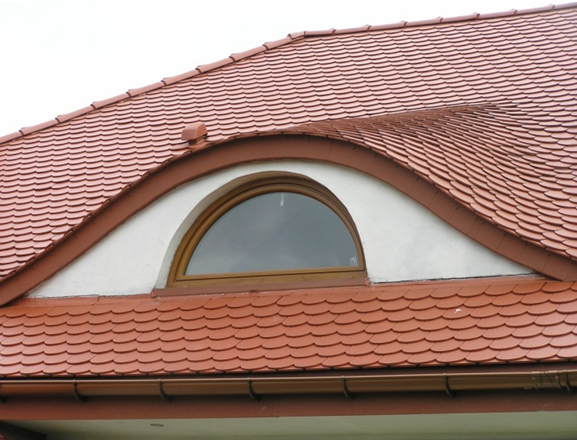 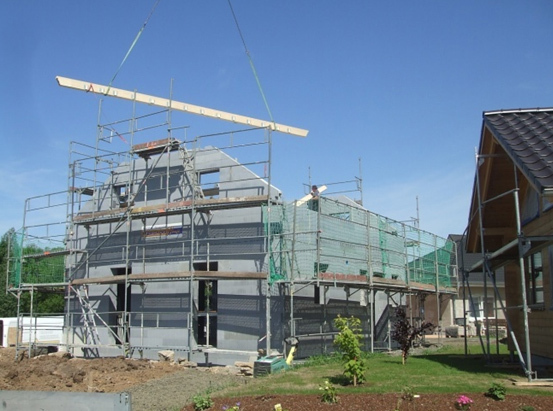 So-called inverted roofs are becoming increasingly popular. 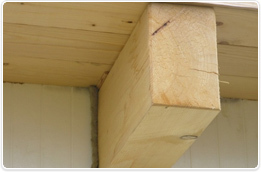 The figure presents such structure in the Izodom system. 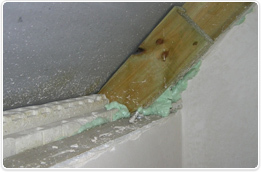 Please note the Izodom insulation elements and the MP element which facilitates making the tie beam. 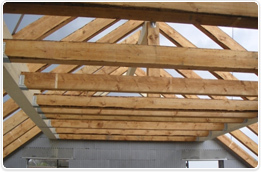 Example of inverted roof with supports for water tanks. 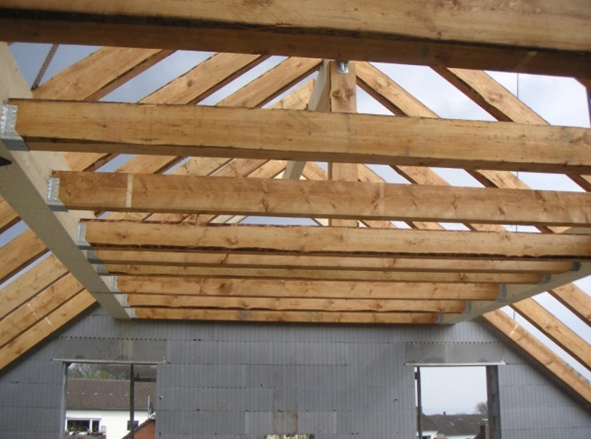 Currently, we are designing the elements of insulation placed above and between the rafters. 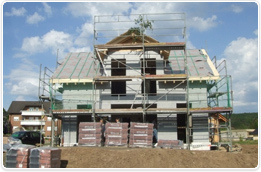 The results will be published in the first quarter of 2011.